Coach 1941 Pre-Fall 2019 Fashion Show. Photo © 2018 Alyssa Greenberg. Chanel Pre-Fall 2018, Métiers d’Art show in New York. One 200 kg disco ball. Two cars imported from the United States. 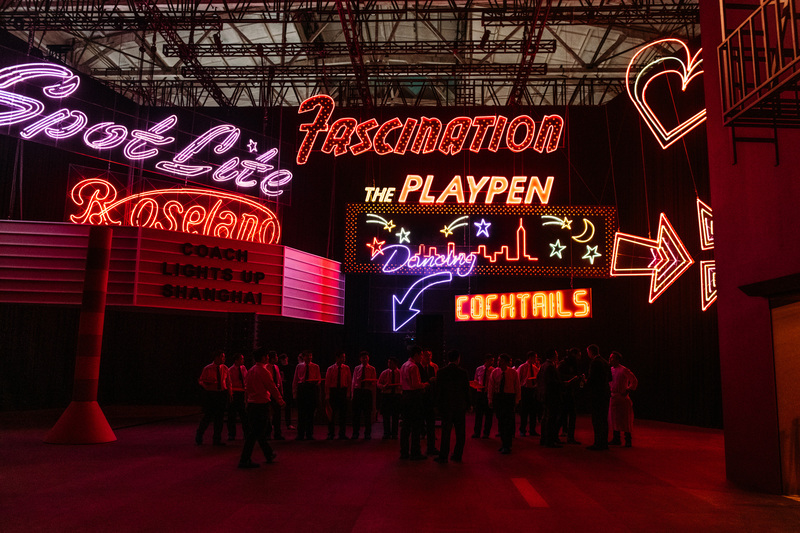 17 neon signs. 24 confetti machines. 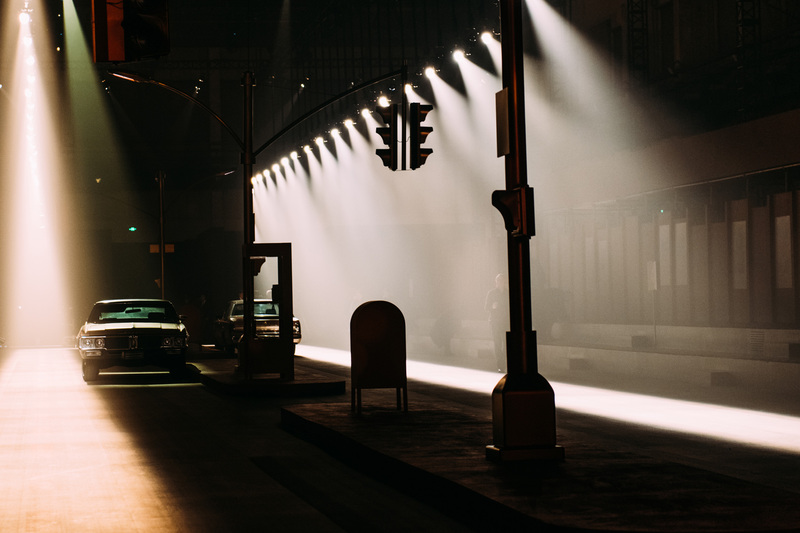 These were just a few of the visual elements that came together to form the cinematic backdrop of the Coach 1941 pre-fall 2019 fashion show in Shanghai last weekend, their first dual-gender runway outside of New York City. 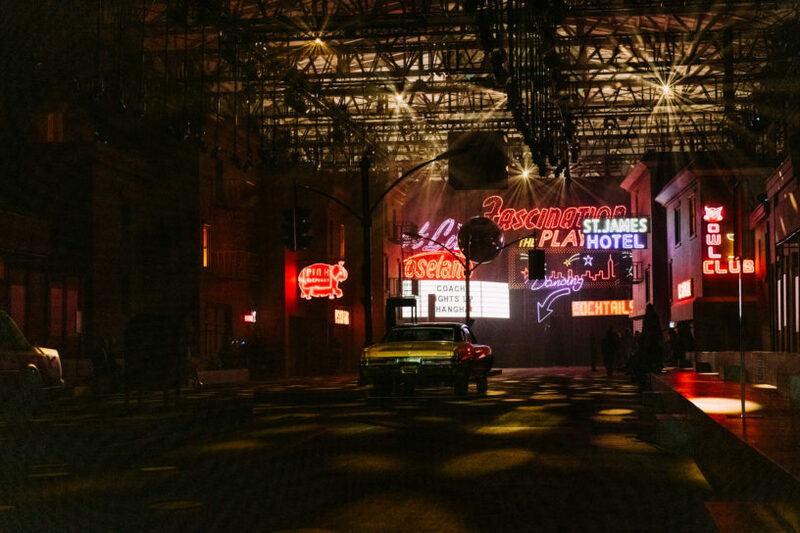 The intricate set was in development for months prior to the six-day set-up process, the final result transporting 600 show-goers from the Chinese city’s cavernous West Bund Art Center to a highly stylized, moodily-lit version of the Big Apple itself. The vision came from Stefan Beckman, whom Architectural Digest once described as “a secret weapon of the fashion industry”. Just a decade ago, such an ambitious production would’ve been unheard of outside of the bi-annual international fashion weeks, when designers normally present their fall and spring collections to buyers, media, and industry insiders. Back then, most pre-fall, pre-spring, and resort or cruise designs were previewed in intimate, low-key presentations and appointments—if brands bothered to show them at all. Some simply sent out catalogue-like lookbooks of their edited pre-collection offerings, while others continued to release only two collections a year for press purposes. Coach 1941 Pre-Fall 2019 Fashion Show. Photo © 2018 Alyssa Greenberg. But two factors converged in recent years that led us to Shanghai, however indirectly. First, according to Beckman, brands started to realize to the importance of the pre-collections to the overall bottom line, since they’ve traditionally included more commercial, accessible styles, and are in stores for longer. 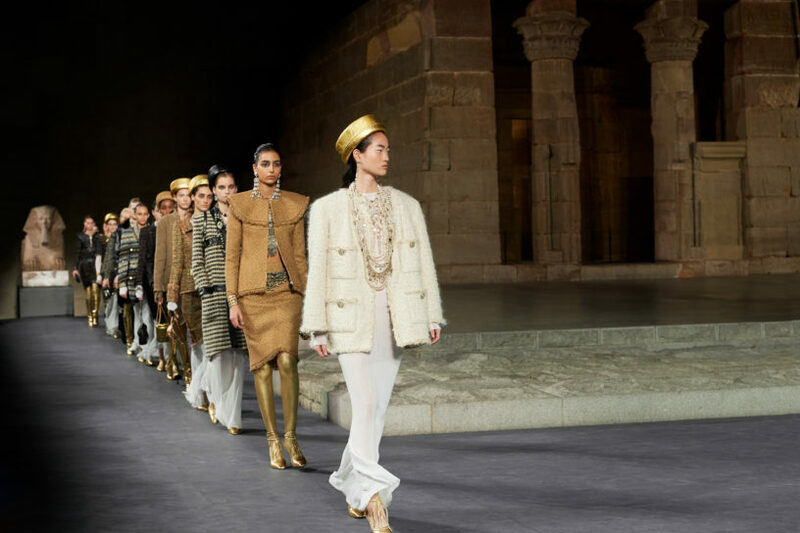 Secondly, brands have begun investing heavily in spectacular destination shows to promote their pre-collections, stemming from the popularity of Chanel’s far-flung themed shows. 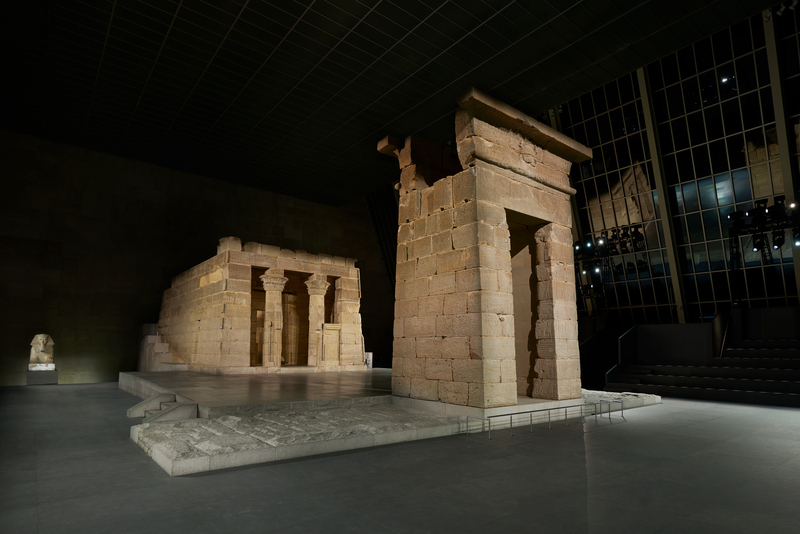 The French house was an early adopter, travelling to Dubai and Cuba to present resort collections, and just weeks ago taking over the Metropolitan Museum of Art’s Egyptian wing to show pre-fall. Indeed, this month alone, pre-fall has gone global: Versace in New York, Valentino in Tokyo, and Beckman’s Coach set in Shanghai. Chanel Pre-Fall 2018, Métiers d’Art show in New York. Photo by Olivier Saillant. The appeal of shoulder season? “Not everyone is showing during these times of the year, so you’re able to do something special and stand out,” says Beckman. 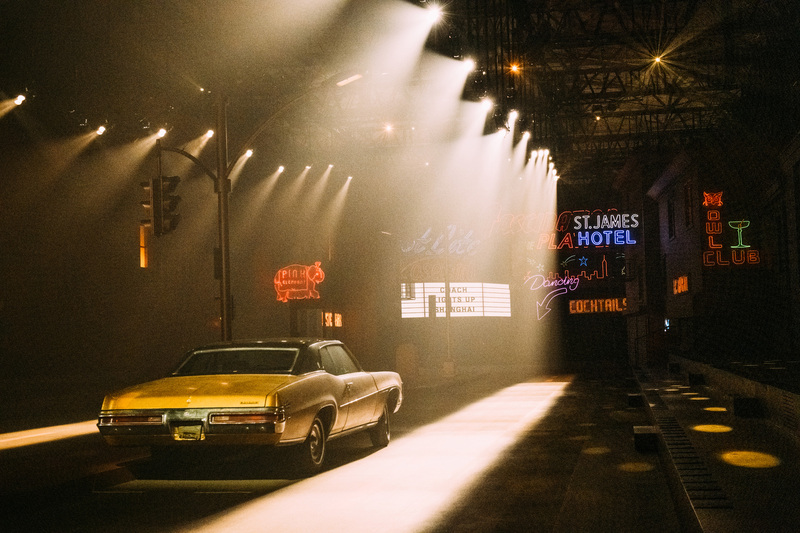 Attendees and models can focus on the single presenting house, unlike during a jam-packed fashion week schedule that leaves them exhausted and rushing to the next event. The brands, meanwhile, can increase their presence in a market or region of emerging importance. 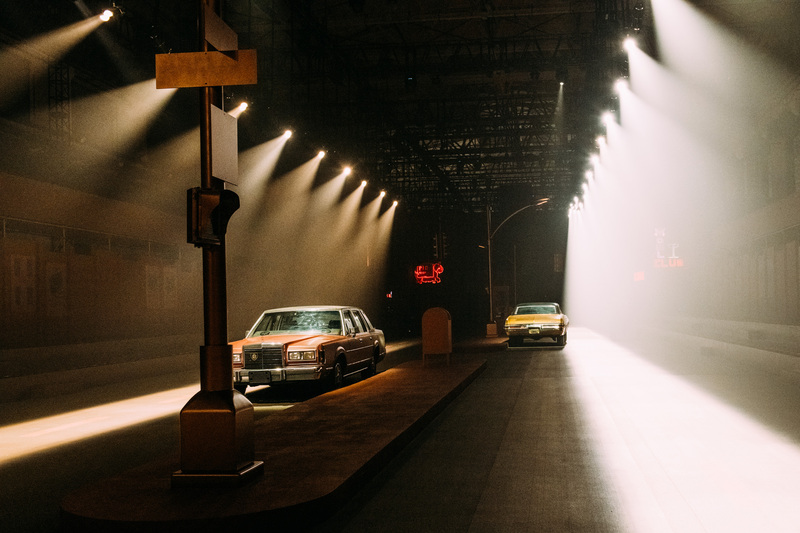 Coach seized the opportunity with its pre-fall collection in Shanghai. The showcase of Americana sensibility was augmented by Beckman’s elaborate dressings, “inspired by New York streets, realistic but also abstracted”. From one megacity to another, it was a spectacle for the pre-season.